Whenever we have friends staying with us here in Mallorca, they inevitably ask, are there any nice, uncrowded beaches, and do we perhaps know somewhere that other people don’t know about? We can help, sometimes, but there are not many beaches left or Calas (bays or coves) that would be easily accessible but free from any hoi polloi. Most of the beaches in Mallorca are in or near built-up zones. There are hardly any beaches or bays left in a virgin state of nature any longer. Promoters and the hotel lobby have seen to that. There are a few exceptions, and they seem to have maintained their exceptional condition thanks to some legal protection. A planning law was introduced some 20 years ago, giving special ANEI protection to certain areas of nature deemed of special interest to the Balearic society (Área natural d’especial interès). In 1991, there were 47 ANEI areas designated in Mallorca, 19 in Menorca, 10 in Ibiza and 8 in Formentera. Cala Blanca between Port d’Andratx and Camp de Mar is one such unspoilt bay. This area was not initially part of the ANEI protected zoning scheme, but was included four years ago, much to the delight of some local conservationists who had formed Salvem Cala Blanca, a lobby group raising awareness of some areas of Mallorca that needed to be maintained free of cement and wild urbanisation. Alas, things seem to have changed. A new conservative government is now in charge in Palma, the Island council is now also run by conservative powers and so is the local municipal council in Andratx. The Partido Popular conservatives are seen as hotel-industry friendly; never mind any legal restrictions. A planning application has been presented by a hotel chain to build a large hotel complex in the vicinity of the ANEI protected area near Cala Blanca. 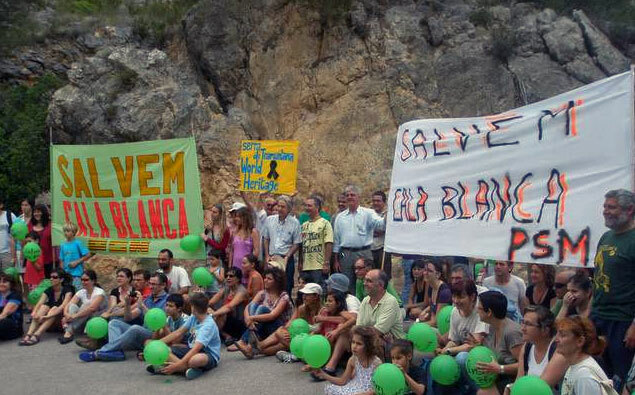 A protest demonstration was staged in Cala Blanca last Sunday (see photo below); protesters voiced their concern about a complete and utter hotelification of this island now that La Crisis would seem to allow for any old excuse to shift the goal posts. Never mind the environment; bankers have the say now and politicians are relegated to puppets on the string. Shame on you, Sera. (Sera is the nickname of José Ramon Bauzá, the president of the Govern de les Illes Balears). 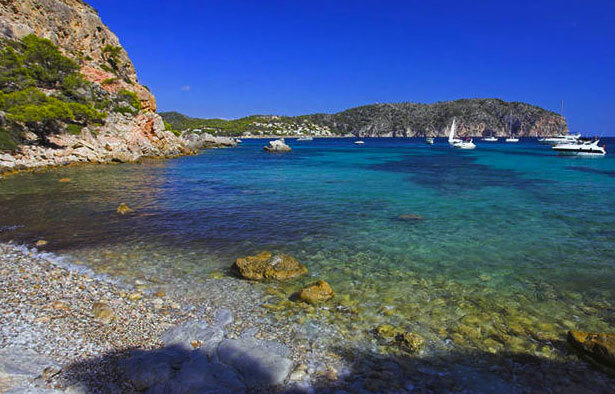 May I remind you that Cala Blanca lies on the edge of the Sierra de Tramuntana mountain range, recently awarded Patrimonio de la Humanidad World Heritage Status by UNESCO as an area of great natural and cultural significance. 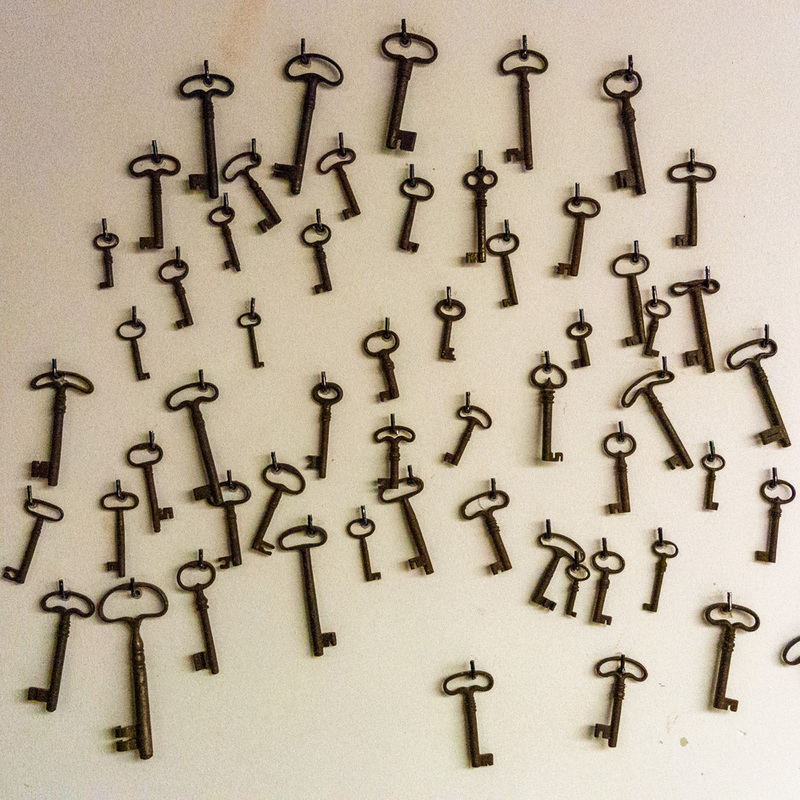 Save our souls. Will somebody please come to the rescue? We are drowning. Both photos were borrowed from the Internet, the top one courtesy of zingarate.com, and the bottom one, courtesy of andratxnews.com. Wow – that is a sad state of affairs – the island does need to preserve some of it’s natural beauty – that can never be reclaimed once the hotels get in there! Such a stunning island – I hope they are able to protect the area. “Save our souls” is a very appropriate expression for this post; there is much that we lose as human beings if all we strive for is money or profit.